When our customers ask for something special we strive to provide it. This is how many of our standard products were born. DRUMALARM WITH MANIFOLD for feeding multiple processes from the same drum. This particular unit in the picture is equipped with a check valve at the button of the suction pipe so priming shouldn’t be necessary. 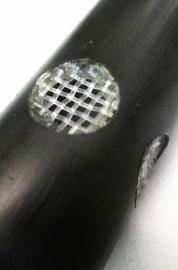 Nevertheless, there is a threaded plug at the top for conveniently priming pumps if necessary. DRUMALARM WITH SWIVELING PLUG for a customer with drums having extremely domed tops. The curvature of the dome caused the standard drumalarms to point to the middle of the drums which made extracting the last residue of chemical iimpossible. The 10º angle of this design allows the operator to point the drumalarm pipes to the corner of the tilted drums, allowing extraction of the last residues. After the drum plug is secured to the drum, the operator is able to rotate the drumalarm pipes freely to the best position. SCREENED FLOAT GUARD keeps debris away from the float. This guard allows level alarms to be used with surpisingly dirty liquids – like black water in port-a-potties. Even though large objects may press against the screen, the liquid will find its way to the float like groundwater flowing through soil. 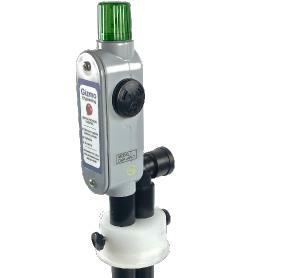 DRUMALARM WITH A DOUBLE FLOAT provides two alarms: the upper float causes the LED and buzzer to pulse slowly. This alarm can be silenced. Then when the bottom float is triggered, a rapid beeping and flashing occurs to distinguish between the alarms. This provides an early warning to the operator to ready a new drum of chemicals. 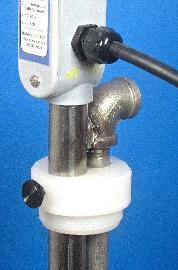 STAINLESS STEEL DRUMALARM for very high temperature liquid. VAPOR RETURN LINE for noxious chemicals to eliminate fugitive emmisions. 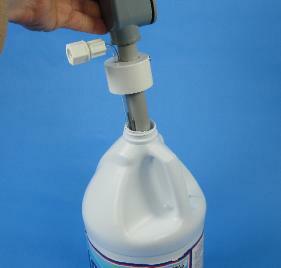 1 GALLON BOTTLE ALARM with very small suction line.. VERY LOW HEADROOM required this level alarm with a 90º head. 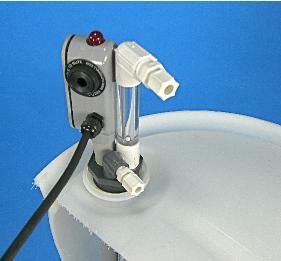 Aluminum conduit body and Stainless steel pipe, float switch and removable guard. This is designed for filling rail cars where drops to the ground are a way of life. CUSTOM DRUM PLUG sent to us from our customer ahd a female buttress thread. 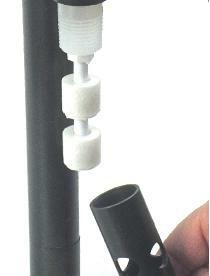 We modified it with our plastic fusion process to create the drumalarm which is close to our DHB model.